Well, Barbie is not quite ready for her big day as she hasn't even met Ken yet, and he certainly hasn't figured out what he is wearing! But at least the girls are sorted, the bridesmaids are already chosen! Oh yes, Barbie has her priorities straight, doesn't she? She knows what she will wear and she will look Fabulous!!! This post is tongue in cheek because my partner and I agree we want to be married officially before our baby arrives, but all we have done so far is get our rings, we can't seem to bring ourselves to organise anything else! Wow..that is so cool about it being inspired by your grandmother...hugs! beautiful! Love your creations!! I always love seeing what you are the barbie babes are up too..you rock! your outfits are stunning! And thankyou for your sweet words always! They look so delightful.... glad you have shared this project with us. Oh what a cute post...I always loved Barbies when I was growing up....I had a suitcase of them! 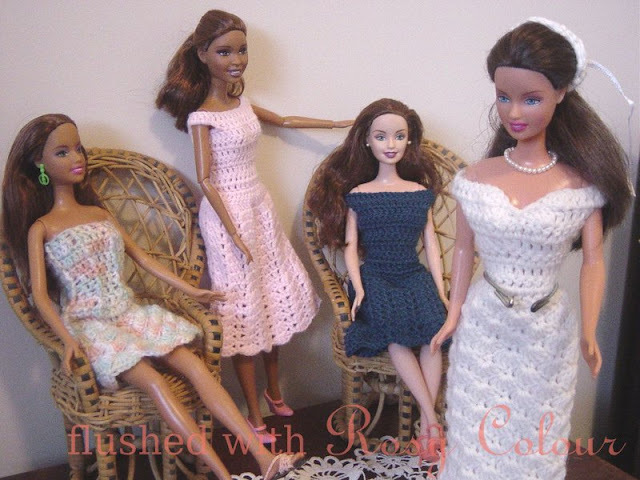 Love the crochet dresses..those are precious, and since they were inspired by the one your grandma made for you...well, that sure makes them extra special. What a delightful post! You are very clever and I enjoyed reading and seeing the Barbie dreses! What a creative sweet post. Barbie has it all planned perfect and her friends are darling in their beautiful dresses. I hope your wedding planning comes along and you have a life filled with all the best always. So enjoyed your creative cute post. Thank you for sharing your talents. Glad you decided to join the wedding party, sugar! Well congratulations anyway - no matter what you come up with it will be adorable, after seeing Barbie and her peeps all dolled up today I've had my giggle for the week! This is such an absolutely adorable post! You do know that I got my start in romantic dreaming by dressing my Barbies in clothes my grandmother created, too, so we have LOTS in common! 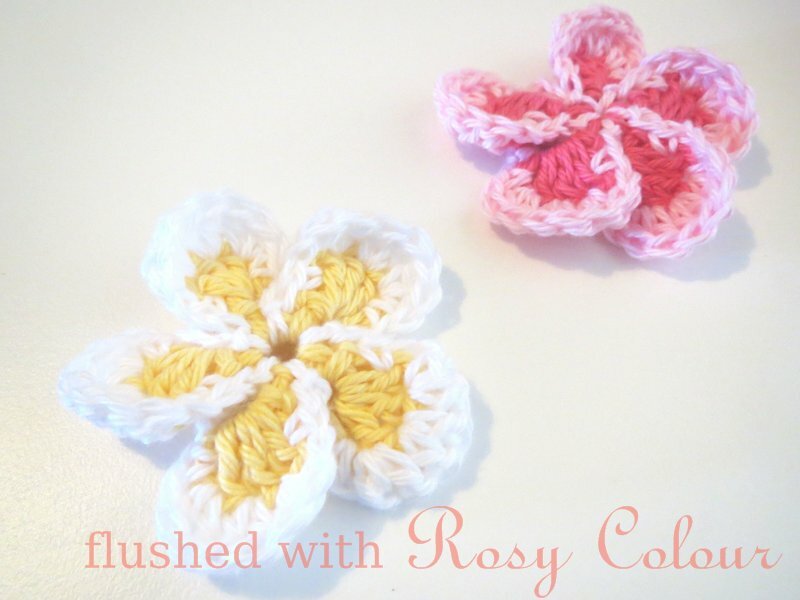 :0) Love those sweet crocheted pieces! How long does it take you to make each one? Best wishes on your upcoming wedding and congrats on the sweet new little life you are creating. Please keep us updated on your wedding plans. Such a fun event to plan for!! What a cute post, Barbie looks marvelous as a bride to be. Happy Pink Saturday to you too! I don't speak english very well.I'm sorry. But I'm a barbie lover and I see your dolls(are lovely). Unfortunately, here in Brazil do not reach all models of Mattel, due to high taxes and the barbies here is the high price. But I always likes barbies.